Singapore is a little country and city in South East Asia. It is the only island-city-state in the world. The whole Singapore country is only big enough for one city so the whole country itself is also a city and a capital. Isn't that interesting? 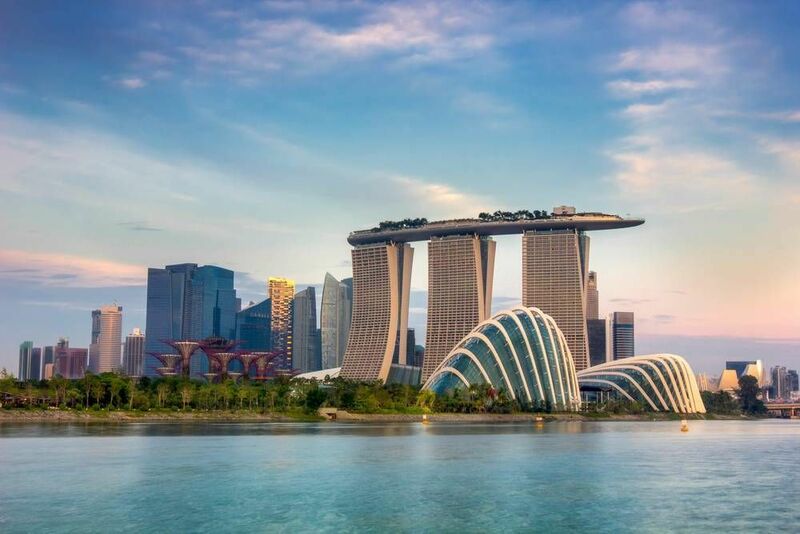 But what is more interesting is that with so little in size, Singapore hardly has any much natural resources but during the last two decades this island country has raised to be one of the top countries in the world. Being an Asian Tiger economy, Singapore does not exceed in trade, business, and economics but also in tourism. Every year, Singapore opens its door to welcome over 15 million tourists. The Lonely Planet and The New York Times listed Singapore as one of the top ten tourist destination in the world. In this little island, you will get to see amazing man-made architecture. One of the world famous building is the Marina Bay Sands resort with three skyscrapers right next to each other and on top of the three buildings is a vertical building/structure that shapes like a ship. Natural reservations and observatories with many parks and creative observatories to let people and tourists get an opportunity to see the smart combinations of man-made structure and natural wonders. The country has also legalized casinos in 2005. So if you are in the mood to test your luck, Singapore can also be your destination. Besides all the cool things to see, Singapore itself is an Asian melting pot with harmoniously intertwined cultures and people. From Buddhist pagodas to Christian churches, from street food to fancy dining, from man-made skyscrapers to natural parks, whatever your heart desires, name it and Singapore will have something to your taste, right in their little size of an island. The Indie Singapore company is famous for the variety of free walking tours they offer. They offer different walking tours every week with each day being a different tour. The Chinatown tour will give you lots of valuable historical facts about Singapore and how it has transformed itself from a little fishing village to a world power player. Sites will be introduced together with stories and anecdotes about how those sites are significant to the Singaporeans. Kampong will take you on a three-hour tour going from the graffiti streets in the Bugis and Kampong Glam district to the ground of the old royal family. And the Riverfront will take you along the Singapore river where you will not only learn about the country’s history but also get to see its natural aspects. The Singapore Footprints offers 2 walking tour with very similar content as the Indie Singapore: Singapore River tour and the Chinatown tour. Having another company offering these tours means you will have more time options since Indie Singapore only offer their tour during weekdays. The Singapore Footprints offer their tours during the weekends and they will also take you everywhere on the island and won’t let you miss out on anything. So choose what works best for you. Below you can find more popular (but not free) activities and tours in Singapore. Are you from Singapore and want to be a tour guide? Please get in touch by submitting your details on this page!